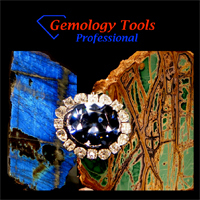 GemologyOnline.com • View topic - AIG Appraisal for Black Diamond Necklace, Is It Legitimate?? AIG Appraisal for Black Diamond Necklace, Is It Legitimate?? I ran the term declasse by our staff at Lang's today. We have gemologists (GGs) on staff graduating from 1982 through 2006 and NONE of them had ever heard the term declasse used in reference to clarity grading. Déclassé is just what the definition says: inferior grade. Piqué (P1, P2, P3) by Scandinavian diamond nomenclature is essentially same as GIA imperfect (I1, I2, I3). P was selected because roman I means "number one" and they wanted to avoid confusion. Déclassé is not actually included in any current diamond grading system but is well known here in northern europe as "below Piquee" or junk grade. It is originally diamond term but since it sounds so good some ebay sellers have adopted it to colored stones. Thanks, mikko, it's always valuable to hear from people in other markets so that we get to know what terms are in use. LOL, I passed the info to everyone at work and we've been calling things declasse all day long. Hi, déclassé may roughly sound good but for someone who speak french it litterally mean garbage(excuse me for the term), out of value, has been submitted to classification and cannot be classified, i believe in the gem trade some call it opaque or industrial wich is totally understandable for a black diamond but everything has a price. I do believe they make beautifull jewelry and they are a "classe a part", déclassé, lol. Hello, just happened across some of my old paperwork. Got GG in Santa Monica in 1995. I have two pages in my files from the Colored Gem Grading Course. One lists Dcl as stone not transparent and one lists "Those that are so badly included dthat they are virtually useless as gemstones are graded De'Class (out of class)." I was worried about so many people saying they had not heard of it. I usd it in appraisal work once in a while and thought it was common. But...I was also heavily into martinis at the time and was afraid it might be something I heard late at night in a bar and transfered mistakedly into my permanent brain wave. are declasse diamonds basically industrial grade? My understanding is that the term was only used for colored gems along with TYPE I, II, and III terms. To extrapolate to diamonds would make them bort. Not that there's anything wrong with that. hi john, lashawn's pdf has declasse' used with colored stones, and when i had searched for further info on the internet, which gosh knows the internet is not always the most reliable source, lol, most mentioned diamonds. Declasse means that "have been declassified" and implies that it can't be classified. Yes, industrial grade. Garbage works too.... It sounds awful in French! I was doing some searching and came across my name in this post and there was a discussion as to what Déclassé is and how it is used in the grading of stones. This quote is repeated on Page 22 and again on Page 23 of said workbook copyright 1990 by GIA. 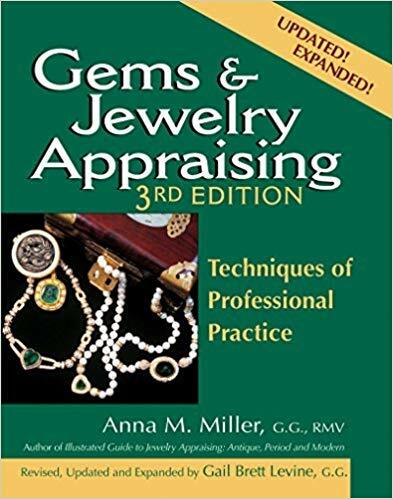 This workbook was a handout during the One Week Colored Stone Grading Workshop which gemologists had to attend and pass as part of becoming a Graduate Gemologist in the early 90’s. This is a super cool book and if any of you can find it new or used in a rare book store it is worth owning. Section III Page 226 talks about and explains what Piqué is. It basically is the same as GIA’s I-1, I-2 and I-3 Classification of Diamond Clarity Grading. The thing I like best about this book is it has really good LARGE Photomicrographs of the various Clarity Grade Examples. I use this all the time to show and explain to customers/clients. Now let’s move on to the next problem and simple solution to that problem. The Plot is useless and utterly meaningless unless a Key is provided to unlock what the symbols are, what they mean and how they are used within the plotting of a stone. 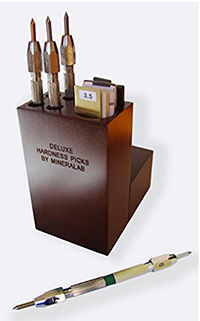 I’m currently working on a in-depth and detailed article on Diamond and Colored Stone Grading Scales over the years. Today the Present (2010) GIA Colored Stone Clarity Grading is viewed and graded Face-Up with the Un-Aided Eye. This must most defiantly be stated within your reports because I myself use the OLD 1990 GIA Color Stone Clarity Grading Standards of Grading the Clarity of a Colored Stone Under 10x Magnification. However, I clearly mark this grading standard directly under the Clarity Grade on my report so that there is no misunderstanding. My own personal opinion is that GIA made a major blunder going to grading clarity of colored stone face-up with the Un-aided eye. There is NO WAY I will or would Clarity Grade a $10,000.00 Emerald without magnification!!! That is plain nuts. That is a lawsuit just waiting to happen. Kind of like standing back and watching two trains speed towards one another on the same track. We all know what is going to happen but somehow we just can’t turn and look away. Hope this all explains things a bit and sorry for being a bit late on replying. So Remember you all can practice pronouncing and saying Déclassé because it really is a term but used for colored stones and not diamond grading like what that gemologist wrote in his so-called appraisal. I really need to write a book for Trail Lawyers and the Consumer on how to simply and successfully sue morons in the jewelry industry, because most jewelers will want to settle out of court than to have their good name dragged through the mud of public opinion. Maybe then we will thin the herd out of Quack Charlatan, Schlock Appraisers. I was always suspicious of Bidz, and now I know why!